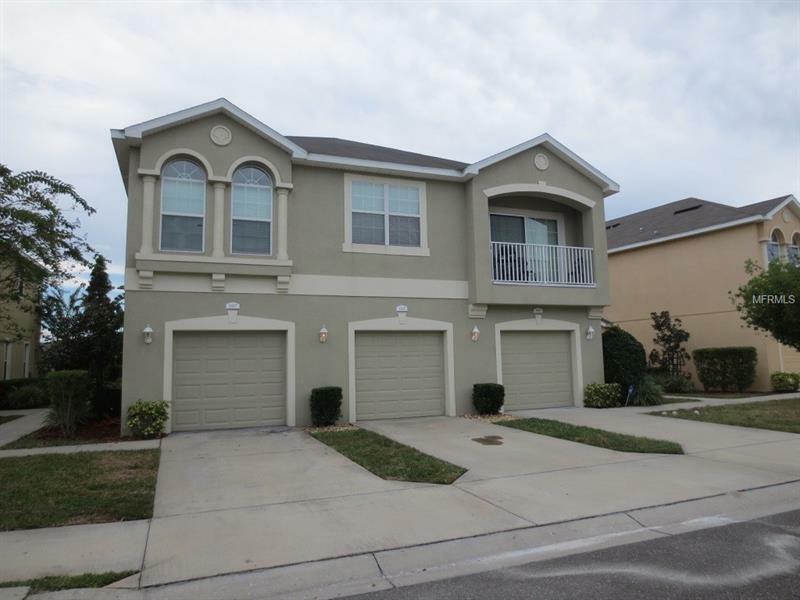 This 2-bedroom 2.5-bathroom 1-car garage 1260 SF two story townhome is in the gated Eagle Palm subdivision conveniently located near I-75 the Crosstown Expressway and Brandon Town Center Mall. Home features wood and tile flooring dining room /living room combo with blinds throughout. Kitchen has refrigerator with ice and water flat top range microwave and dishwasher. Stackable washer and dryer upstairs. Split bedroom floor plan each bedroom has its own bath. Back Patio overlooking the pond. This community has pool and club house.